With proper lens care, contacts are beneficial to both kids and teenagers. Contact lenses provide more than cosmetic appeal, psychologically and physically. Considering contacts for your child, teenager, or even yourself? Keep reading for more info! A majority of people, not just children, feel they look better without glasses. If that’s the case, contacts should (and do) increase confidence and self-esteem. Some children can feel outcast, or not accepted by their peers, if they appear different than others with the presence of glasses. This can be especially important during critical stages of social and physical development in the early teenage years. Wearing contacts is an easy way to build confidence in one’s outward appearance, which can play a role in future success. If you wore glasses in the 70’s or 80’s, you surely remember the look – excessively large, thick lenses and even larger frames. Thankfully for children and teenagers today, there are many more stylish (and not as gigantic) eyewear choices if contact lenses are not a viable option for some reason. Our goal is to make your family feel comfortable and confident in any given refractive correction, whether contacts or glasses. Running down the field, dribbling down the court, sliding into home plate – sports can be a very important aspect of a child’s life. Wearing contacts provides freedom from using glasses during athletic activities. Glasses can slip down the nose from sweat, get dirty, and even break causing potential eye injuries. On the other hand, contacts provide stable vision that doesn’t fluctuate with body movement. Peripheral vision can also be improved with contacts since there isn’t a frame interfering with vision to the side. If your teenager plays in competitive-level sports, spotting an object faster in the periphery can be advantageous to his or her performance. At what age can a child start wearing contacts? Some doctors will only begin fitting contacts on children when they reach 12 or 13 years old, while others will fit children 8 or 9 years old. The answer to this question is all about maturity. Since some children are more mature than others, this is driving force behind whether contact lenses are appropriate or not. 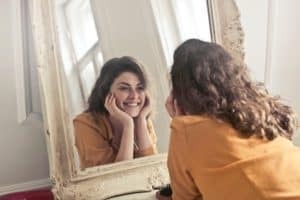 Self-motivated personal hygiene (brushing teeth, combing hair, showering, changing clothing, etc.) is a good indicator of whether a child is ready for contacts. The addition of contact lens care should not be an overwhelming burden to a child who is mature enough for contacts. Motivation is another major factor in the long-term success of wearing contacts. If there is a motivating reason behind the child’s desire for contacts, there is more interest and enthusiasm throughout the process. Learning how to insert and remove contacts can be frustrating at first. However, encouragement and support at home does help. After some practice, contact lens insertion and removal becomes routine, and children become efficient without any supervision or guidance. Absolutely! As long as the lenses are properly cleaned and disposed, contacts are safe for children of all ages. There are even specialty contacts for infants born with congenital cataracts or other eye conditions. Daily-disposable contacts are awesome for kids and teenagers because they require less care and are an overall healthier option. 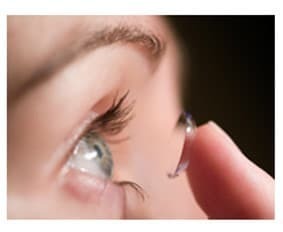 The contacts are thrown away every night, and fresh lenses are inserted the next morning. This eliminates the need of a nightly cleaning regimen and contact lens solution. Proteins, lipids, and other debris from the day can coat the contacts. Even disinfecting the lenses overnight doesn’t remove 100% the deposits, so they accumulate over time. However, by wearing brand new daily lenses each day, we are ensuring clean, healthy contacts. This decreases the risk of irritation and infection too! Contacts can even provide better vision for certain prescriptions. Individuals with a significant difference in prescription between the eyes tend to benefit the most from contact lens wear. It can be difficult for the brain to interpret differing strengths of magnification or minification with glasses. Wearing contacts greatly decreases the impact of magnification/minification and can alleviate eyestrain associated with different prescriptions between the eyes. So what are you waiting for? Getting contacts is an exciting time for everyone! Schedule an appointment with one of our three amazing doctors. We can’t wait to fit your family in contacts that allow everyone to see well and feel their best!